The ASRS is currently experiencing service delays due to a power interruption. Please call the IKBLC circulation desk at (604) 822-8149 before picking up material. December 20th, 2018 by karleen delaurier-lyle | Comments Off on Everyone is Welcome! Visit us for research help, to see our collections, or to find a place to study. At Xwi7xwa Library everyone is welcome! Posted in carousel | Comments Off on Everyone is Welcome! 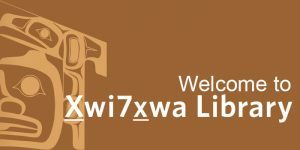 On behalf of everyone at UBC Library, we wish you the very best during this holiday season. Thank you to all of our library patrons, supporters, and colleagues who have helped us achieve so much this year. I invite you to watch our animated video below where we have illustrated some of our physical branches to give you a glimpse of the many locations across our library system. All of our locations, departments, and units do incredible work to make this library truly exceptional. Take a look through some of our highlights from the last fiscal year in our 2017/18 annual report. I hope to see you in 2019! The Chapman Learning Commons (CLC) on Level 3 of the Irving K. Barber Learning Centre will be closed for renovations starting Wednesday, December 19, 2018. 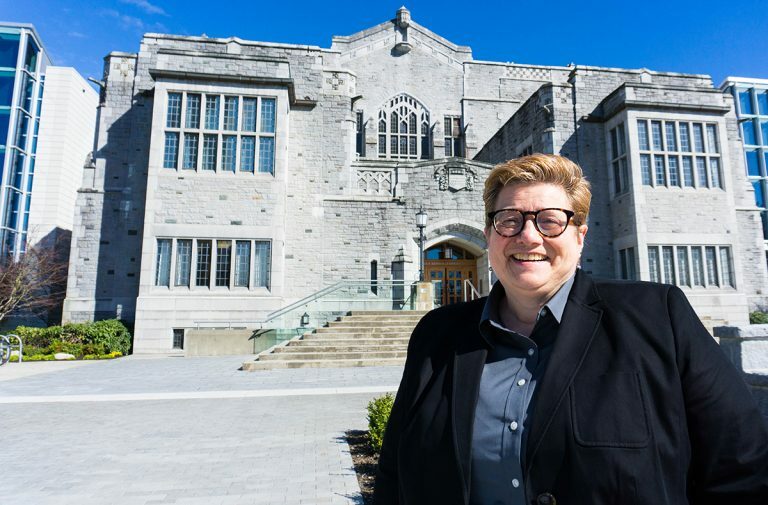 The Digital Repository Librarian is responsible for developing, supporting, and assessing content recruitment activities as well as managing the content in cIRcle, UBC’s open access digital repository. The role is also responsible for managing the repository software and technical system administration of the cIRcle database; managing the development and implementation of content policies and procedures; ensuring copyright compliance of repository content; and undertaking promotion of cIRcle and open access. The Digital Repository Librarian is responsible for many of the day-to-day activities of cIRcle, including liaising with reference librarians and with faculty regarding content recruitment, assuring the application of interoperability standards for metadata; assisting with ongoing development of an assessment program for the digital repository, overseeing internal records management activities in the cIRcle office, and developing and maintaining the cIRcle web site. May hire and supervise student employees. Knowledge of digital repository software platforms, as well as other tools in the digital library environment. Knowledge of open access mandates and agreements regarding the deposit of materials into open access repositories. Demonstrated ability to work in a collaborative team environment. Ability to make effective presentations to faculty, students, library colleagues, etc. Demonstrated project management skills, both independently and as a team member. An aptitude for entrepreneurial activity in project identification and project development. Excellent analytical, organizational, problem solving and interpersonal skills. Flexibility and willingness to assume a variety of assignments. Ability to develop and maintain cooperative and productive working relationships and engage in workplace culture. Committed to demonstrating respect for colleagues at every level by trusting in their abilities and knowledge to perform their roles and earning respect through meeting commitments. Listens to, encourages and expresses creative and innovative ideas. Open to experiment and improvise with new ways of approaching processes, tasks or problems. Working experience with digital repositories. Working experience in a research or other large academic library, and public service experience. Understanding of the changing environment of scholarly communication and of new publishing models. Understanding of copyright and permissions issues. Working knowledge of project management software. Reports to the Head, Digital Programs and Services. cIRcle is part of Digital Programs and Services (DPS), and strategic direction is provided by the AUL, Digital Programs and Services. A high degree of planning, collaboration and coordination with other staff in the Library and with external partners is required, particularly with Information Technology staff, reference librarians, Central Technical Services staff, and colleagues in other Digital Programs and Services units. Works closely with external software contractors, and may supervise the work of library staff and student assistants. Collaborates with reference librarians and faculty to recruit content that falls within the cIRcle acquisition policy. Manages content recruitment projects and content management workflows. Facilitates support for institutional compliance with open access requirements, including the Tri-Agency Open Access Policy to make resulting peer-reviewed journal articles freely available online within 12 months of publication. Develops project and workflow schedules, overseeing copyright and license management workflows, and creating training materials and procedural documentation. Coordinates educational efforts with other library units and delivers internal and external presentations to build awareness and confidence in repository services. Develops, refines and applies assessment criteria for the digital repository. Collaborates with IT and DPS to maintain digital preservation program. Promotes cIRcle and open access both on and off campus. Manages the implementation, customization and troubleshooting of repository software. Consults with Central Technical Services staff regarding mediated deposit service workflows and metadata issues and works to ensure that appropriate content management support for the cIRcle database is in place. Undertakes and assists with projects and initiatives aimed at the enhancement and expansion of repository and related services. Coordinates reporting of software problems, specification of software customizations and upgrades, and software testing. Performs system administrator functions in the cIRcle database (currently using DSpace). Develops and maintains content for the cIRcle web site. Participates in library committees and works on special projects as assigned. Supervises staff and student employees as required. The nature and scope of the responsibilities for this position is expected to change as the Library organization and digital repository services evolve. We are seeking applications from Librarians with up to 2 years of experience. However, all internal candidates will be considered regardless of years of experience and are encouraged to apply. Salary will be commensurate with experience and academic/professional qualifications. To view the complete job description and to submit an application, please visit the UBC Careers page at http://www.hr.ubc.ca/careers-postings/faculty.php by midnight on January 21, 2018.